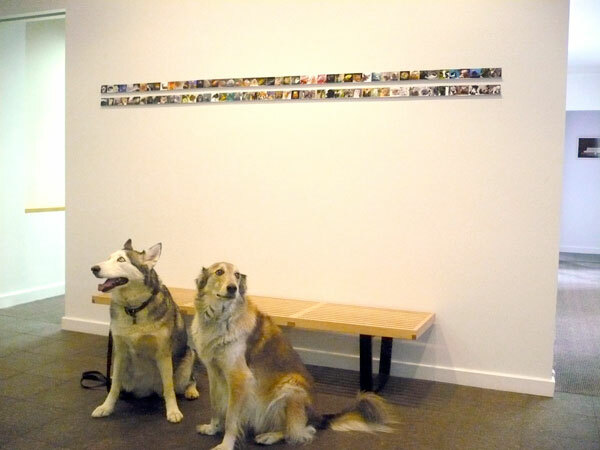 During the holidays, our Annual Artist for 2009, Nina Katchadourian , installed three pieces in the office. Stay tuned for a detailed post on Nina and her work. 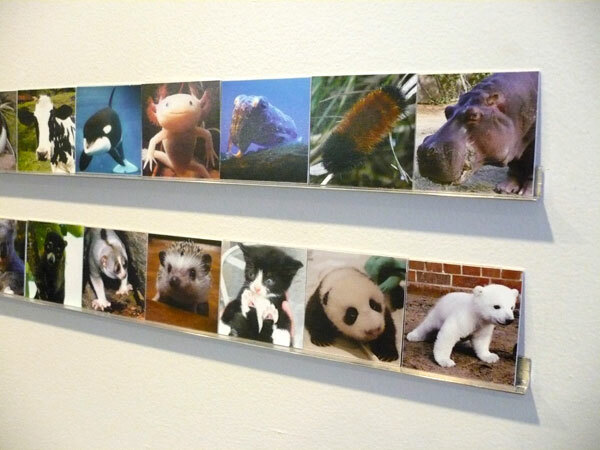 Meanwhile, some sneak preview pictures of our lobby, featuring Nina's debate-inspiring "Continuum of Cute". 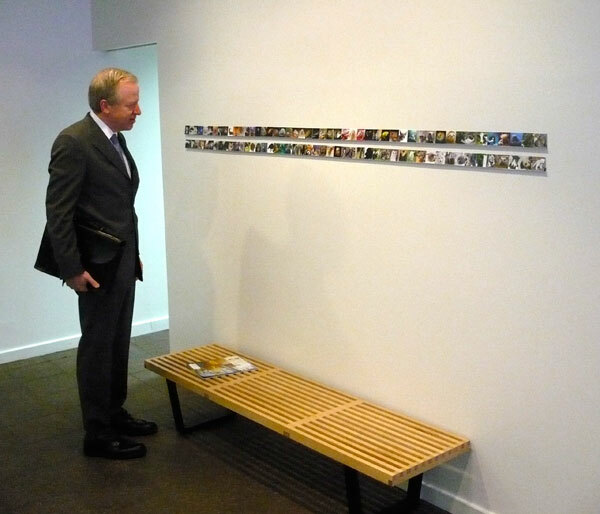 ( Pedro and Nusia are not part of the installation -- although if they were, clearly they would be towards the lower right of the series.) 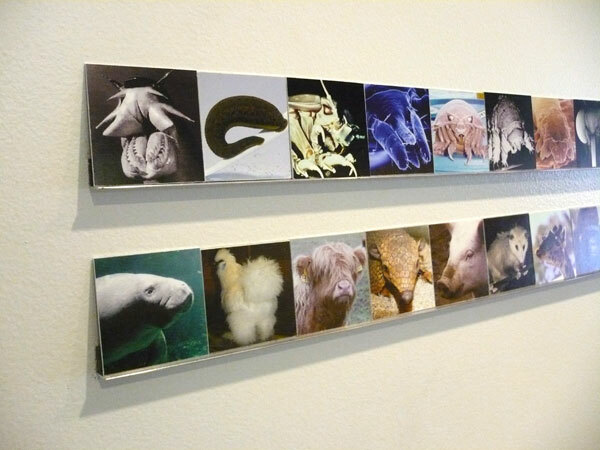 Past Annual Artists at C&G Partners include Monica Banks (2008) and Richard Barnes (2007).